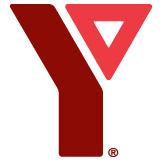 Enter your YMCA Participant ID to view your online progress report. Your participant ID is located on your child's membership card (the smaller row of numbers below the photo). Spring 2019 Lessons Start the week of Monday, March 18th, 2019. Please note participants who miss 3 lessons in a row will be removed from lessons. Please email absences to chaplinaquatics@ckw.ymca.ca. Swimgen is a third party service used by "Chaplin Family YMCA" to manage report cards. All graphics and text on this page are provided by "Chaplin Family YMCA".